Get compatibility to all terminals currently in the marketplace. 1st Global can provide these terminals on a purchase lease basis, with discounts available. We offer free installation and reprogramming of existing equipment. Call for details. Choose from a wide range of wireless equipment. 1st Global is a provider of the following terminals: Exadidagm™, Nurit8000™ and Smart Phones. We are also a reseller for Charge Anywhere™ and Way System™. Assist in website design for e-commerce solutions, including shopping carts and 6 major gateways including Plug and Play™, Authorize.net™, Cybersource™, Yourpay™, Verisign™, and Paradata Systems™. We are also a reseller for Website Pros™, a company that provides web design and marketing for small to medium sized businesses. 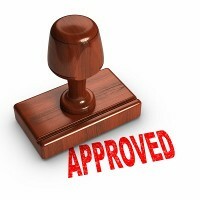 Count on 99% approval within 24 hours. We provide a free application and setup of our program. Call us to get started. Invest in merchant terminals, smart gift cards, and wireless equipment through our merchant processing company in Sacramento, California. With more than 15 years in business, 1st Global specializes in providing merchant accounts at competitive prices for your retail, Internet, or wireless business. Call us for personalized service in selecting the best solution for merchant processing. Develop e-commerce solutions and start wireless services in the mobile industry. We are looking for new customers opening up new businesses that need help with merchant terminals. Call us for the best customer service. Upgrade to the smart card gift card program. Smart cards offer mag strip capabilities to track customer purchases, lodging, zip codes, merchant visits, and the number of people in their party. Learn more about how we work with different chambers to track visitors in different cities. Contact 1st Global Merchant Services in Sacramento, California, for merchant processing and merchant terminals or to create a smart gift card program.